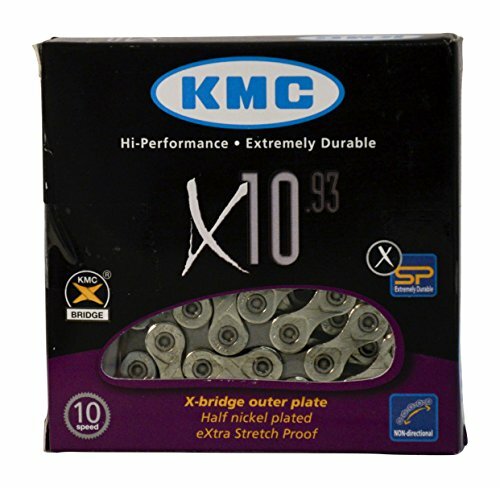 The KMC X10.93 Silver chain is a high-quality yet affordable chain for your 10 speed bicycle. New optimized chamfer angles for superior stability in extreme chainlines. Upgraded outer plate chamfering for minimized cassette tooth interference. New double X-Bridge structure technology for improved shifting performance.